EJIL: Talk! – Was the US Entitled to Require the Departure of the (former) Indian Consul? Home Diplomatic Immunity Was the US Entitled to Require the Departure of the (former) Indian Consul? Was the US Entitled to Require the Departure of the (former) Indian Consul? 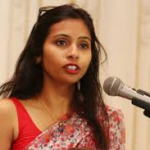 At the end of last week, Devyani Khobragade, the Indian consul arrested in New York last month returned to India, after she was by a federal grand jury (see New York Times and Reuters). Apparently, the US first approved India’s transfer of Ms Khobragade to the Indian mission to the UN, a move which granted her diplomatic immunity, including immunity from prosecution (as discussed in my previous posts – part I and part II). The US then requested that India waive that diplomatic immunity. When India refused that request, the US requested or demanded Ms Khobragade’s immediate departure from the US. In response, India has also requested that the US withdraw one of the members of its embassy in Delhi. Although it is an unfriendly act, it not unlawful for a receiving state to expel a diplomat or consular official of another state. Indeed, this possibility is explicitly provided for in Article 9 of the Vienna Convention on Diplomatic Relations and Article 23 of the Vienna Convention on Consular Relations. Under both provisions, a receiving state may declare a person to be persona non grata, with the effect that the sending state is bound to recall the diplomat or consul, or to terminate their functions in the mission. There is no requirement for the receiving state to give reasons for declaring a diplomat or consul persona non grata and it may make such a declaration because of the official or private conduct of the official, or even for reasons unconnected that with particular person. So, India is within its rights to require the US to withdraw one of its embassy staff, in retaliation for the US’s request that Ms Khobragade leave the US. But was the US entitled to require her departure? The wrinkle here is that when her departure was requested Ms Khobragade was no longer a consular official of India, accredited to the US but a representative of India to the United Nations. Representatives of states to the UN are not accredited to the US and are not exercising functions in the bilateral relations between the US and that State. Therefore, it would be inappropriate for the state of bilateral relations between the US and a particular country to affect the ability of that country’s representatives to perform their functions with regard to the UN. The US, as host state to the UN headquarters, clearly has an interest in who is allowed into the US and who can stay in the US. However, if the US could exercise its normal sovereign prerogatives with regard to admission of non-nationals into its territory in determining which person can be admitted to act as representative of a state to the UN, the US would be entitled to determine, without legal restraint, how countries are represented at the UN and be able to affect the capacity of states to enjoy their rights as members of the UN. For these reasons, it would be inappropriate if the concept of personae non grata was applicable to representatives of states to the UN. Indeed the rest of that paragraph suggests that UN related personnel (including representatives of other states to the UN) may only be required to leave as a result of abuse of privileges and immunities in relation to activities outside their official capacity. So, unlike diplomatic and consular officials, the US may only require departure: (i) in relation to activities of the person concerned, i.e not for reasons unconnected with that person; (ii) in relation to activities outside the official capacity of that person; and (iii) where there has been abuse of the privileges and immunities granted to that person. The provision then sets out procedure that must be followed where the US wishes to expel UN related personnel. Under that procedure, proceedings to expel UN related personnel can only be commenced with the approval of the US Secretary of State, and, in the case of a representative of another state, only after consultation with that state. In this case, it seems clear that the activities in question (hiring of domestic staff) are acts outside the official capacities of the Indian representative (see my earlier post – part I). It may also be thought that resisting prosecution in this case, on grounds of immunity, is an abuse of diplomatic immunity, which is not intended to shield foreign officials from the application of the law of the host state. There is therefore a good case to be made that the substantive conditions for expulsion of the Indian representative were met. 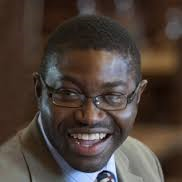 What remains unclear is whether relevant procedures under the agreement were followed. It is particularly unclear whether the US requested that India withdraw the representative or that it was requiring her recall. It would seem that the US is entitled to make a request for the recall and if India accedes to such a request, there is no breach of the Headquarters Agreement. However, if the US was requiring the recall of the Indian representative, as some media reports suggest, the US ought to have followed the procedures set out in the Headquarters Agreement. Under Section 13(b), there is first a requirement of consultations between India and the US; then the US Secretary of State would need to consent to the commencement of proceedings in the US to require departure; and those proceedings must allow representation by India. Perhaps, what happened last week can be regarded as the consultations phase. If the US was only requesting that India recall its representative, India may have thought it best to accede to that request as a means of drawing a line under the incident. Indeed, given the provisions of Section 13 which permit proceedings to compel departure of the representative as a result of acts outside the scope of official capacity, India would have been well aware that ultimately, the US would have prevailed in a demand to require departure of the representative. Can the US declare Representatives of States to the UN to be Persona Non Grata? If the US had required the departure of the Indian representative, in a summary manner, could it have relied on the argument that it was entitled to require the withdrawal of the Indian representative as persona non grata. Earlier, I set out reasons for thinking that this concept would be inappropriate in relation to representatives of states to the UN However, there are two provisions of the US/UN Headquarters Agreement that might be thought to suggest that the concept of personae non grata applies to representatives of states to the UN, with the effect that the US can request their departure for whatever reasons it wishes. The first is Section 13(b)(3) which provides that “Persons who are entitled to diplomatic privileges and immunities under Section 15 or under the General Convention shall not be required to leave the United States otherwise than in accordance with the customary procedure applicable to diplomatic envoys accredited to the United States.” This may, at first sight, be thought of as transferring the entire regime of departures of diplomatic envoys to the question of departure of representatives of states to the UN. However, such a conclusion would result in giving an absurd meaning to Section 13. Section 13 deals, inter alia, with both resident and non-resident representatives of states and the reference to Section 15 is a reference only to those resident representatives with full diplomatic immunities. It would be absurd to suggest that Section 13 provides a more elaborate and long drawn out procedure for non-resident, and therefore temporary, representatives, while allowing resident representatives to be expelled summarily. The structure of Section 13(b) suggests that paras (1), (2) & (3) are limitations on the right of the US to require departure of UN related personnel, in the case of abuse of privileges and immunities. It would be wrong to regard para. 3 as expanding that right rather than limiting it. Section 13(b)(3) ensures that even when the departure of a person with full diplomatic immunity is required (in accordance with Section 13), the procedure should be no less favourable than that with respect to diplomats. That provision, would;, for example, require the US to allow a reasonable period of time for departure. However, as was recognised by the Legal Adviser in the same letter, and as noted above, the US/UN Headquarters agreement establishes it own procedure for requiring a representative to leave the US. That procedure is outlined in Section 13. That provision would be unnecessary, in its application to representatives of states, if the concept of personae non grata applies to representatives of other states to the UN. The alternative conclusion that Section 13 applies only to those without full diplomatic immunity but that Section 15 provides a broader right to expel those with full diplomatic immunity would be absurd (as pointed out earlier). This argument would mean that more senior representatives could be expelled more easily than temporary or more junior representatives. In your intensive posts, the term “Representative” mentioned several times, does it carry a specific definition which might be limited and not covering the adviser as the status of Devyani Khobragade? The term “representative” does include a person who is an “adviser.” This is specifically provided for in Section 16 of the 1946 UN General Convention on Privileges and Immunities of the United Nations.